Above you will see one of our most recent installations in Lincoln, NB. This home has gone from another track home on the block to the gem of the neighborhood with the installation of an iron entry door and iron garage door. 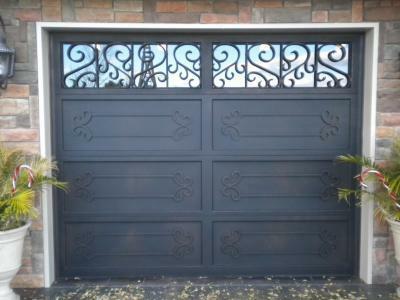 These long lasting and durable doors give these owners confidence that their home is secure while also creating a sophisticated look that sets their home apart from the all the others. To give a completed look to the home this customer could also add matching ornamental iron work and wrought iron railing. 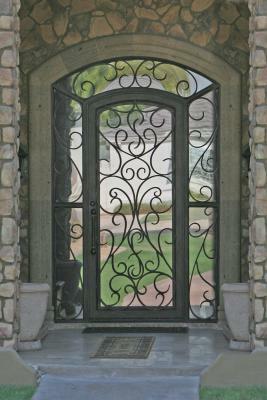 Signature Iron Doors invites you to come take a look at our website and contact us to see how we can turn your house into your dream home. We take pride in the quality of our products matched with exceptional customer service and we look forward to help you with any or your iron needs.